Things were looking awfully gloomy for the Azzurri in their first World Cup match against Paraguay earlier today in the hard rain. The defending champs of last World Cup went down a goal in the first half off of a brilliant header from Antolin Alcaraz following a free kick. And just to make matters worse going into the second half, keeper Luigi Buffon had to leave the match via substitution due to a nerve related injury the star suffered at some point in the first half of action. And if Buffon’s injury is a long term one (meaning only a month) then you can waive bye-bye to Italy’s chances of hoisting the Cup this summer. The Italians looked limited on the offensive end of the pitch and no forward really stepped up today and lead the attack. The defense and overall pace of the match for the Azzurri was pretty slow and the team failed to get many good looks in the entire match. They did equal the score in the second half off of a perfectly placed corner to De Rossi, but the keeper was way out of position on the cross and the defending champs were basically given the goal by inept play in the net. And with the mediocre performance expect Lippi to potentially change the lineup down the road. I think Pirlo is the key player besides Buffon that needs to get healthy and immediately put back in the lineup. The midfielder is one of the few offensive play makers the renowned squad truly does have. The forwards for the most part were unimpressive and I think Di Natale needs more minutes on the pitch in favor of Gilardino and Iaquinta. The defense still has a few question marks as well, but the good news for the ailing squad is that their next match is against lowly New Zealand. 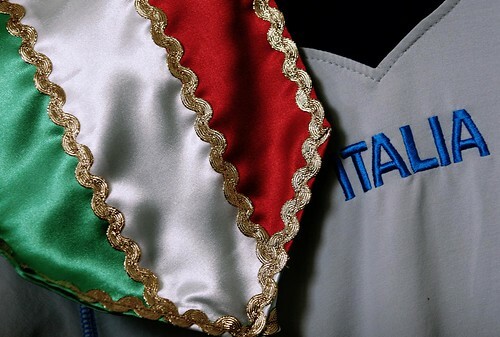 And the Kiwi’s should struggle with the Azzurri regardless of the starting lineup of either squad.